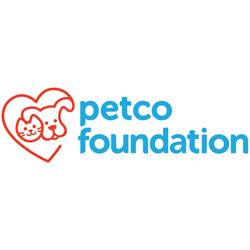 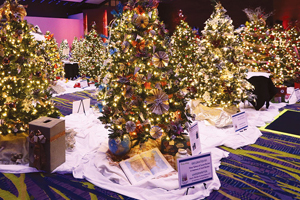 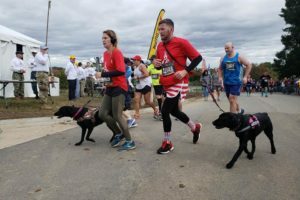 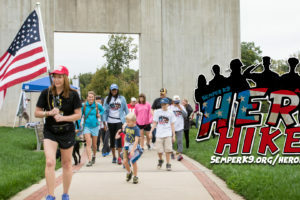 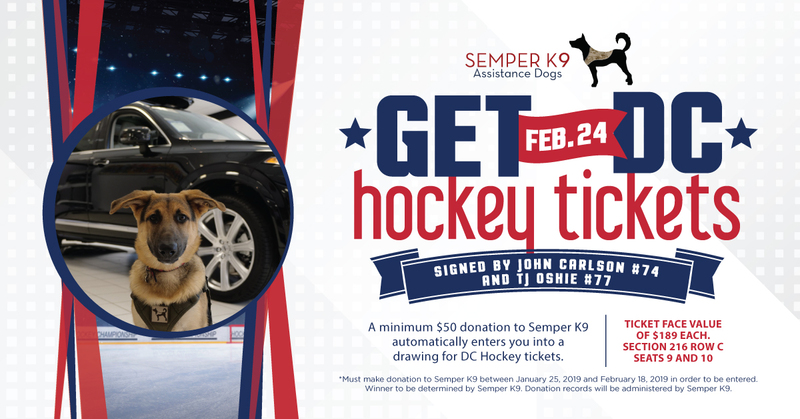 Combat veteran founded and operated, Semper K9’s mission is to enhance the quality of life for wounded, critically ill and injured members of the U.S. Armed Forces and their families by providing them assistance dogs. 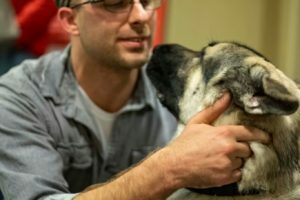 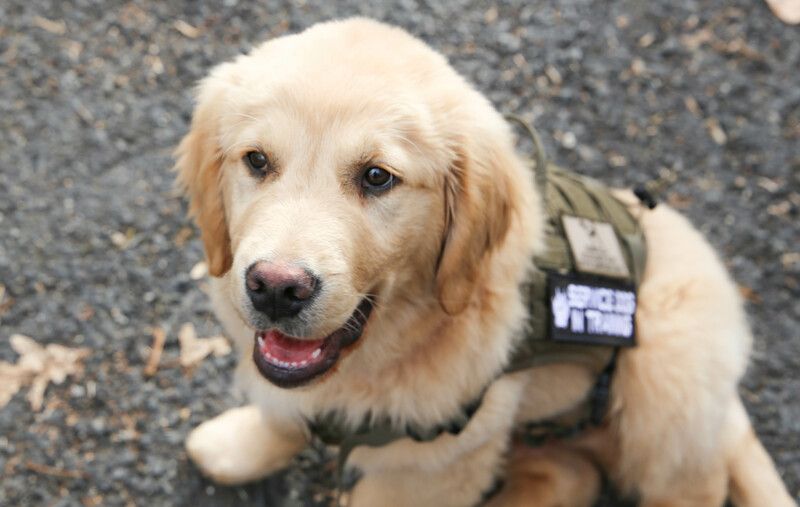 Using rescued and donated dogs we provide service dogs for psychiatric alert and mobility challenges free of charge to wounded service members. 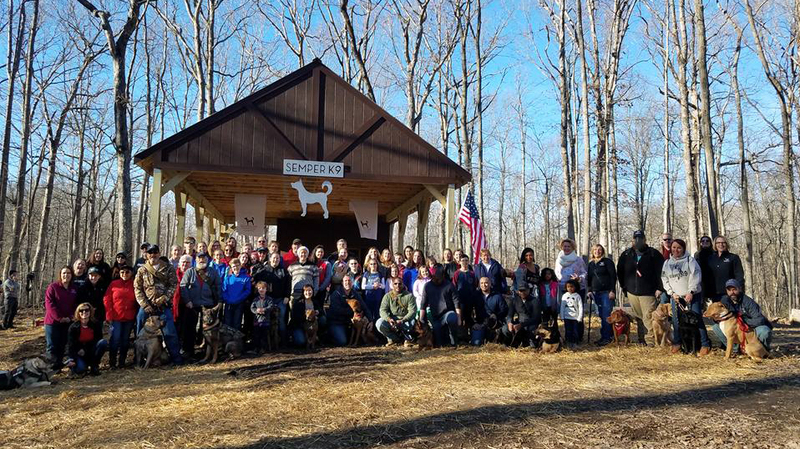 Semper K9’s Community Education program focuses on service dog and disability awareness and the impact that service dogs have on veterans. 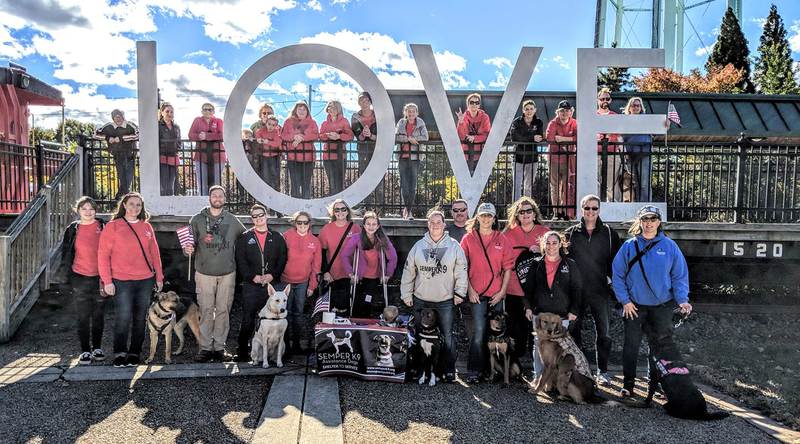 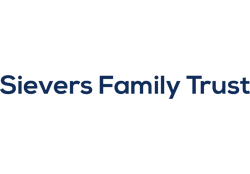 Semper K9’s Family Integration Program teaches military families how best to navigate their needs, resulting in stronger and healthier relationships. 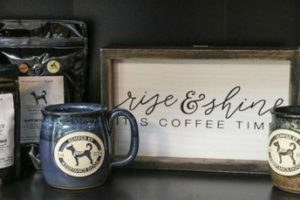 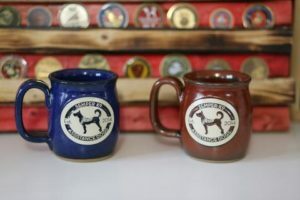 Roasted by Veteran Owned, Ricks Roasters in Northern Virginia, sales from this combination of two light to medium roasted coffees benefit Semper K9’s Service Dogs for Veterans program. 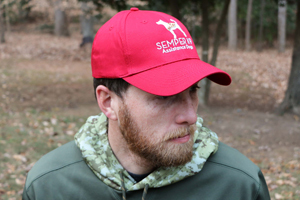 This six-panel twill cap with Semper K9’s logo embroidered will allow you to support our mission in style! 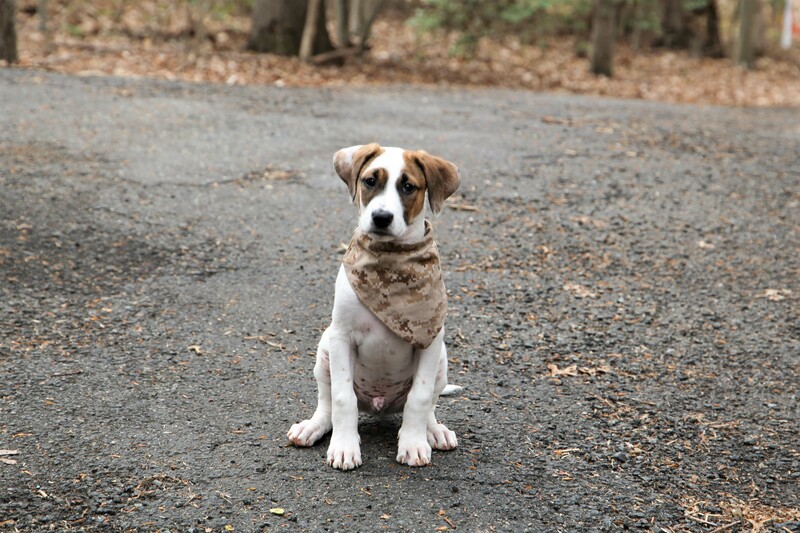 Also, the hat worn by Mike Rowe in our episode of RTF! 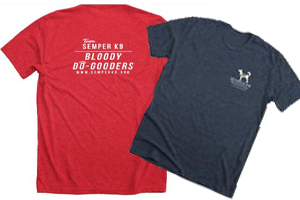 Get your official Team Semper K9 ‘Bloody Do-Gooders’ tee. 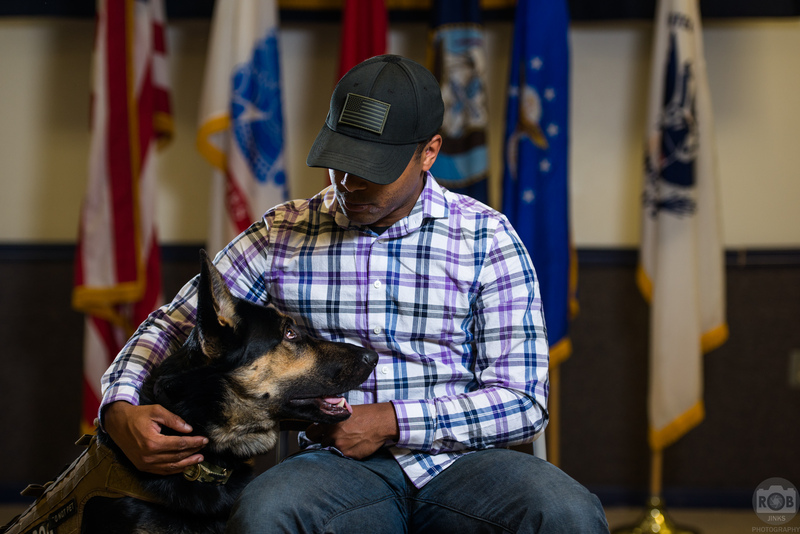 This limited edition shirt represents Semper K9’s appearance on Mike Rowe’s hit show on Facebook Watch, Returning the Favor.